St Mary and St Andrew’s Catholic Primary School is a loving and joyful family school . This has been recognised by both the Catholic Diocese of Lancaster and Ofsted who have both graded our school as ‘Outstanding’. Our dedicated and enthusiastic team of teaching and non-teaching staff are continually striving to offer the very best education, in it’s fullest sense, for every child in our school. Our aim is to inspire a love of learning, creating positive and engaging learning experiences for all. We firmly believe that we can only achieve the best for your child by close co-operation between home and school. 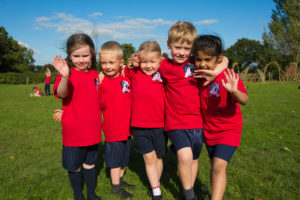 There will be many opportunities for you to share in your child’s education and we do hope that you will work with us to make this a happy and successful period in your child’s life. Our school places Christ at the centre of all thoughts, actions and words. We strive to serve, challenge, guide and inspire your child to grow in the image of Christ. We know that this can only be achieved with your help and support, and therefore our vision is of a whole community working, learning and growing together. All the staff of St Mary and St Andrew’s welcome you and look forward to sharing the successes and challenges, which lie ahead. At St Mary and St Andrew’s, we are guided by God who is at the centre of everything we do. We support each other to be the best people we can be, to secure bright futures for everyone. With our parishes, families and the community, we work together to create a school that is safe, happy, respectful and inspirational.